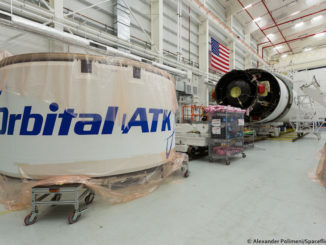 Orbital ATK shipped the final major piece of hardware for the next Cygnus space station resupply mission to a launch base on Virginia’s Eastern Shore last week as technicians began loading cargo destined for delivery to the orbiting research lab. 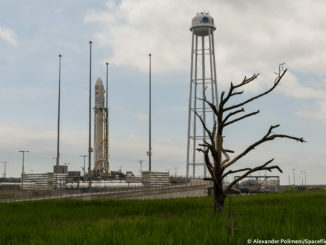 As Orbital ATK engineers aim for the next launch of the company’s Antares rocket from Virginia this fall, early planning for missions to keep the International Space Station supplied through the early 2020s is already underway. 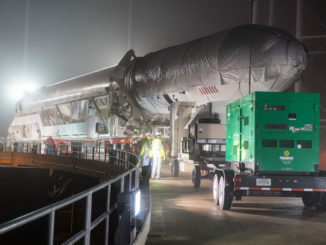 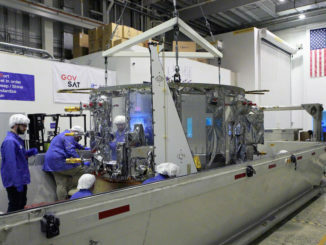 A classified National Reconnaissance Office satellite mission assigned last month to launch on an Orbital ATK Minotaur 1 rocket will take off from Wallops Island in Virginia by the end of 2018, a U.S. Air Force spokesperson confirmed Wednesday. 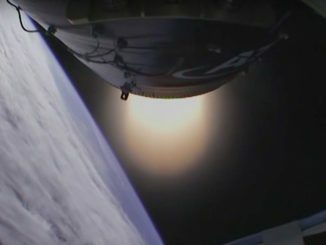 Orbital ATK’s Antares rocket returned to flight Oct. 17 with a successful evening launch from Virginia’s Eastern Shore, a beacon visible for hundreds of miles along the U.S. East Coast as the 13-story rocket set course for a cargo delivery to the International Space Station. 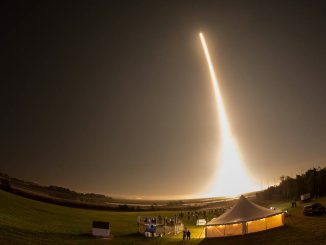 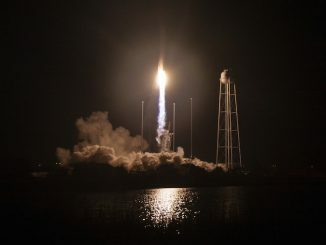 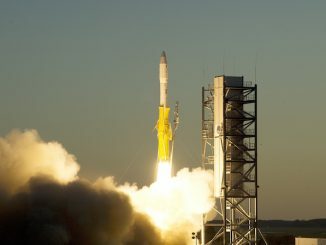 A commercial Antares cargo booster powered by new kerosene-fueled rocket engines streaked into orbit from a launch pad on the Virginia coastline Monday, returning to service to resupply the International Space Station after a two-year grounding stemming from a fiery crash in 2014. 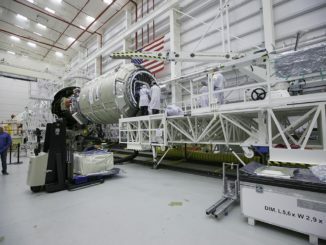 Orbital ATK’s Antares rocket will deliver the commercial Cygnus supply ship to an orbit with an altitude between 130 miles and 179 miles within about nine minutes of liftoff from Virginia’s Eastern Shore. 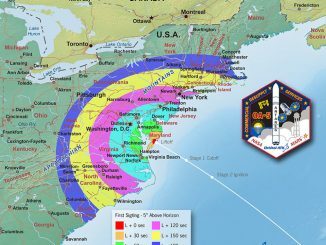 Residents along the U.S. East Coast from South Carolina to Massachusetts could glimpse Orbital ATK’s Antares rocket climbing into space Monday night on a cargo run to the International Space Station.